It is a low level forced discharge type grinding equipment. The slurry stored in the mill has less pulp, and the fine particles can be discharged in time, so that the possibility of over-grinding is small. At the same time, due to the grid plate, the ball can be loaded more in the mill, and it is also convenient to load the ball, thereby increasing the grinding area of the grinding process and the number of impact crushing per unit time, so that the grinding machine has strong grinding ability. In addition, the slurry level of the slurry in the mill is lower, and the buffering effect on the falling of the steel ball is achieved. Therefore, the productivity of the lattice ball mill is 10%-15% larger than that of the overflow ball mill of the same specification, and the grinding efficiency is also higher than that. The latter is high. However, due to the high discharge speed of the lattice type ball mill, the residence time of the material in the mill is short, the product size is relatively coarse, and the suitable milled product has a particle size of 0.3-0.2 mm or 0.074 mm. The mass fraction is 45%. -65%. 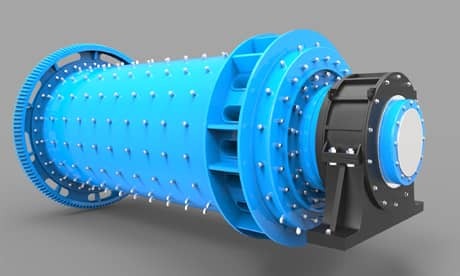 Therefore, the lattice type ball mill is often used as a rough grinding device, or a grinding operation in which the material to be ground is liable to be muddy. The milled product has a relatively fine particle size, and the production efficiency is small. The over-grinding phenomenon of the grinding process is severe, and the grinding efficiency is also significantly lower; however, the overflow ball mill has a simple structure, is inexpensive, and is suitable for fine Grinding equipment, so overflow ball mills are also widely used in production practice. 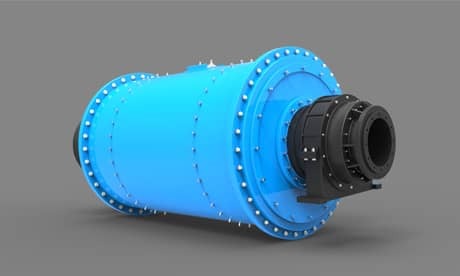 Unlike the ball mill, the grinding medium in the rod mill is a steel rod, so the working characteristics are significantly different from those of the ball mill. Since the steel balls are in point contact, the steel rods are in line contact. When the steel rods are sandwiched between the steel rods, the coarse particles are first broken, and the fine particles are protected to some extent. On the other hand, when the steel bar is lifted upward along the inner wall of the simple body, the fine particles sandwiched between the steel bars flow out from the slit, so that the coarse particles are concentrated and crushed by the impact when the steel bar is dropped. It is precisely because of the unique selective crushing of the coarse particles of the rod mill that the product size of the grinding equipment is uniform, and the over-grinding phenomenon of the grinding process is light, so the rod mill often works open. In addition, the surface area per unit volume of the steel bar medium is smaller than that of the steel ball medium, so the utilization coefficient of the rod mill is lower than that of the same simplified diameter ball mill, and it is not suitable for fine grinding equipment. In general, the efficiency of a rod mill is about 15% lower than that of a grid mill of the same specification. These working characteristics of the rod mill determine that it is suitable for the processing equipment of tungsten ore, tin ore and other brittle materials to reduce over-crushing and improve the recovery rate of sorting operations. In addition, the rod mill can also be used as a coarse grinding device in the two-stage grinding circuit, especially when dealing with the puncture material, the rod mill often replaces the fine crushing crusher to solve the problem of blockage of discharge port of fine grinding equipment.